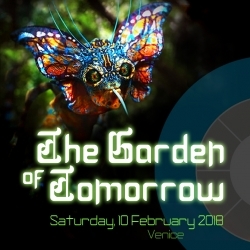 Join us for an incredible weekend in Venice during Carnivale 2018, with a weekend ticket to The Garden of Tomorrow, a spectacular dinner and fundraiser Gala benefiting Cool Earth at a private Palazzo on Venice's Grand Canale. Hosted by Hub Culture and renowned artist Daniel Lismore, for all modern Venetians (people who use Ven). The main Gala's fourth installation is at the historic Palazzo Benzon, and features a guest list of attendees from around the world. It is part of a complete weekend of activities beginning on Thursday 8th February, 2018. The evening includes both a silent and live auction, raising funds for the important work of CoolEarth - a UK-based international NGO that protects endangered rainforests to combat global warming, protect ecosystems and provide employment for local people. For more information and tickets to attend, Log In or Sign Up for a Hub Culture Account and PURCHASE TICKETS HERE. The Venice Hub Group also has all the information and details you need on the weekend of activities. A closed door meeting on the cutting edge applications emerging in blockchains and digital finance. Share the stories and relax over a champagne brunch. The Garden of Tomorrow is the latest installment of Hub Culture's Gala tradition going back to 2005 - including One Night One Wish for the Make-a-Wish Foundation (2005, 2009) and Of Horn and Feather for TUSK (2014). Visit the online visual archive. *Please note Bauer brunch not included in ticket price.